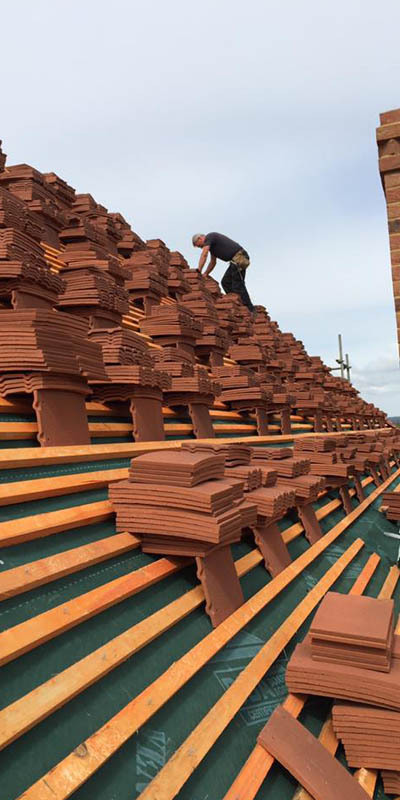 Chris Snell Roofing Specialist Ltd is an independent company based in Salisbury with over 30 years of experience in high-quality specialist roofing projects. We build new roofs, repair and refurbish old ones and can handle any size job, from the re-felting of a garage roof up to designing and building new roofs on the largest of buildings. Chris Snell is well known in the south of England for the particular standards and skills required to re-roof very old buildings, which includes character and listed buildings. One of our long standing customers is The Longford estate in Wiltshire, where we have been building and maintaining the estate roofs for many years. If you are looking at replacing your sofits and facias, Chris Snell has an expert team of qualified installers of the latest uPVC range of products. No more repairs or painting! Problems with a flat roof? Chris Snell should be your first point of contact as we install the Firestone RubberCover™ EPDM Roofing System for re-roofing flat roofs. This material is a high-performance, extremely hard wearing cover that is the ideal, durable solution for small residential flat roofs, verandas and porches. We are also installers of the Velux system of Roof Windows and skylights. If you need to convert your loft into another bedroon, or have the requirement for more light in your dormer, then Chris Snell can design the ideal solution using the Velux system. So whatever your needs, whether it is a brand new roof, recovering a flat one, attention to flashing and tiles or even repairing gutters, contact Chris Snell today. We would be delighted to hear from you.